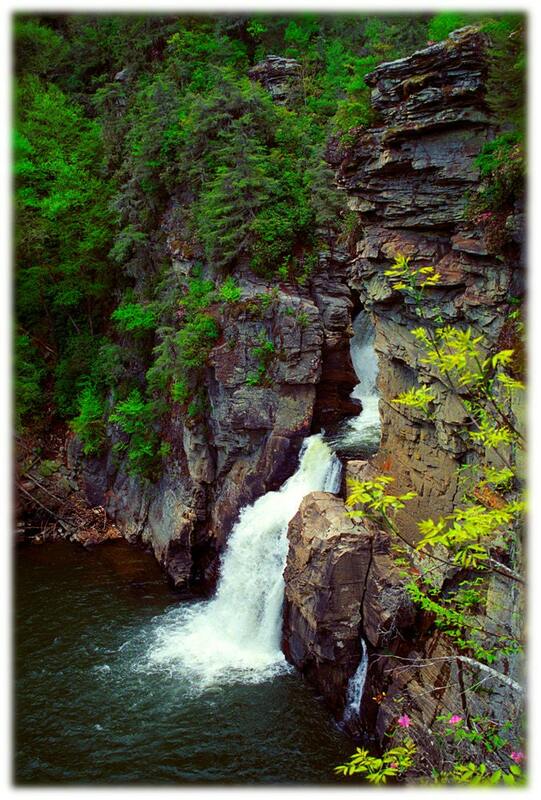 Linville Falls, one of the best known waterfalls in the Appalachian Mountains. The falls mark the beginning of Linville Gorge, which has walls reaching 2,000 feet in some places making it one of the deepest canyons in the east. NC Blue Ridge Parkway Milepost 316.3. Also available in the Blue Ridge Parkway Note Card Set: https://www.etsy.com/listing/32473064/blue-ridge-parkway-note-cards-set-of-4?